In a large saucepan over medium heat, combine the honey, sugar, cornstarch, cinnamon, water, and lemon juice. Mix until smooth. Add the berries and cook over medium heat for about 10 minutes until thickened. Combine the pastry flour, baking powder, sugar and baking soda in a medium bowl. Add in the milk and stir until ingredients are combined. Pour the filling into a non-stick casserole dish. By tablespoons, drop the biscuit dough on top of the hot fruit. Bake in the oven for 20 minutes until the biscuits are lightly browned. 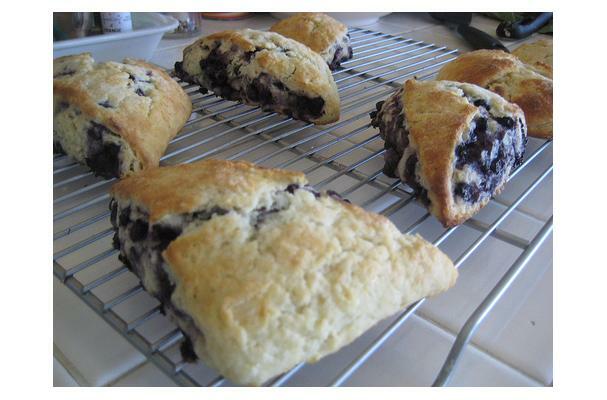 Serving size: 1/2 cup berries with 1 small biscuit.